Q. Who will supply my new car? A. All cars will be supplied directly from Mercedes-Benz UK; we do not supply imported vehicles. Q. How many keys are provided with my Mercedes-Benz? A. Your new Mercedes-Benz will be delivered with two keys. Q. What contracts do you offer? 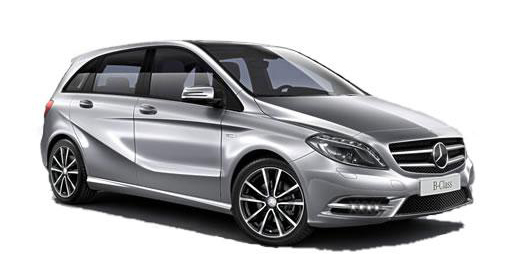 A. Mercedes on Lease specialise specifically on Business and Personal Contract Hire agreements. Q. What duration can you arrange a lease agreement over? A. We try to provide as much flexibility to our customers as possible. Our most popular leasing agreements however are normally offered over 24 or 36 months. Q. What down payment do i have to pay on a typical Contract Hire agreement? A. Typically your initial down payment will be the equivalent to either 3 or 6 regular monthly rentals. Larger or smaller initial payments can be made if required. The higher the initial down payment the lower the regular monthly rentals will be. Q. How will my monthly payments be collected? A. All monthly payments are collected via Direct Debit. Q. Can I increase my annual mileage allowance during the contract? A. This should not be a problem. You will need to contact us to arrange an alternative agreement. This will however result in altering the monthly payments. You cannot reduce your annual mileage allowance however once your contract has started. Q. Can I early terminate my lease agreement? A. Yes you can early terminate your lease agreement. The conditions of your early termination will be dependant on the finance company who is providing your lease. Q. Do I have to pay a delivery charge? A. Delivery is FREE! We can deliver anywhere on the UK mainland direct to your home or place of work. Q. How will my car be delivered? A. You vehicle will be driven by a Mercedes-Benz approved driver. If you wish for your vehicle to be delivered by transporter this can be arranged at an additional cost. Please ask one of our sales advisors to find out what this cost will be. Q. Can you insure the vehicle for me? A. All our finance agreements require you to organise your own insurance from the date the vehicle is delivered to you as a legal requirement. If financing the vehicle on a Contract Hire agreement the car must be covered by a fully comprehensive insurance policy for the duration of the contract. Q. Does my vehicle come with a warranty? A. All Mercedes-Benz vehicles supplied through Mercedes on Lease come with a full UK manufacturers’ warranty. Q. Who is liable for servicing and when? A. On a ‘non-maintained’ contract you are liable for all servicing requirements. These need to be carried out in line with Mercedes-Benz’s servicing requirements, details of which can be found in the vehicle handbook or within the vehicle brochure available to download on our website. If you take a ‘maintained’ agreement then the lease company will maintain the vehicle for you. You will however pay a monthly payment for this service, which will be added to your monthly cost. Q. What do I do in the event of a breakdown? A. All new vehicles are supplied with roadside assistance. Q. Will my vehicle be collected at the end of its lease? A. Yes, your vehicle will be collected from your home or work address at the end of the lease. Q. What condition does my vehicle need to be in at the end of its lease? A. Your vehicle needs to be in a condition relevant to its age and the mileage covered at the end of contract. For a more detailed explanation please click here to view the BVRLA’s Industry Fair Wear and Tear standards for a vehicle at the end of its lease. Q. I have an adverse credit history, can you help? A. All our leasing products are only available to companies or private individuals with an excellent/good credit rating. However our parent company ACL Automotive will be able to assist you. Please visit www.aclautomotive.co.uk for further details. Q. What do I do in the event of an accident? A. You will need to liaise with your insurance company. They will negotiate directly with the leasing company. As different Insurers have varying policies we recommend that you check with your insurer.